Going camping with kids can be a chaotic and stressful experience. Younger children are used to having access to all the creature comforts of home, so depriving them of that can result in tears and tantrums. Luckily for you, organising a backyard camping trip for the whole family has never been easier! The kids will love the novelty of sleeping outside in a tent, while still having access to a proper toilet and running water. You don’t have to build a firepit to get the proper campfire experience. You can get the exact same result with a terracotta pot and some aluminium foil! Line the pot with the foil, and then fill it with firelighters and charcoal or wood. Light the firelighters, and voila! You’ve got your very own backyard firepit – perfect for roasting marshmallows. Be sure to check the fire ban status in your local area before building your firepit. You can find plenty of easy camping recipes online, so there’s something for everyone! Dine on homemade pizzas, nachos, grilled chicken and potatoes, hamburgers and almost anything else you can cook on your grill. Check out these 15 easy camping recipes for some great food ideas for your backyard camp out. If possible, try to avoid using plastic plates and cutlery. Use items from your kitchen, or invest in some camping gear for an even more authentic experience! 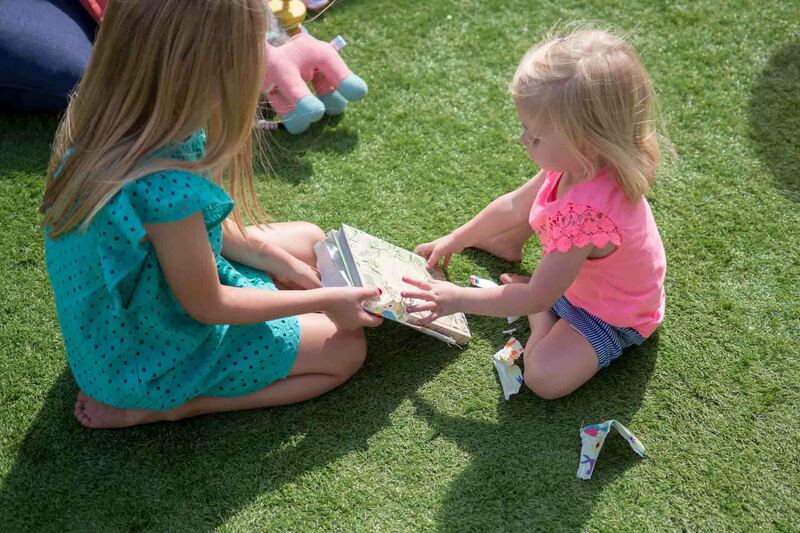 There are plenty of activities to keep the kids entertained in the yard, no matter what age they are. If you live somewhere that isn’t badly affected by light pollution, stargazing is a great activity for the older kids. It’s also a great activity for the parents to enjoy after the kids gave gone to sleep! If you’re trying to entertain younger kids, you can set up a scavenger hunt. Get them to find items such as pine cones, rocks, y-shaped sticks and other objects commonly found in a backyard. If you can’t find enough random natural items in your yard, feel free to add bottle caps, corks, coins and other small objects found around the house. Another great way to entertain kids is by including them in the camping process. Get them to help you set up the tent and lend a hand with the cooking. They’ll enjoy themselves and learn valuable skills at the same time. If you have older kids, telling ghost stories is a great way to pass the time. Great creative and ask your kids to make up their own! The idea of camping is to get away from technology and having a movie night sort of defeats the purpose. But if you’re having trouble getting your kids to commit to the idea of spending time outside, this might be a good way to convince them. 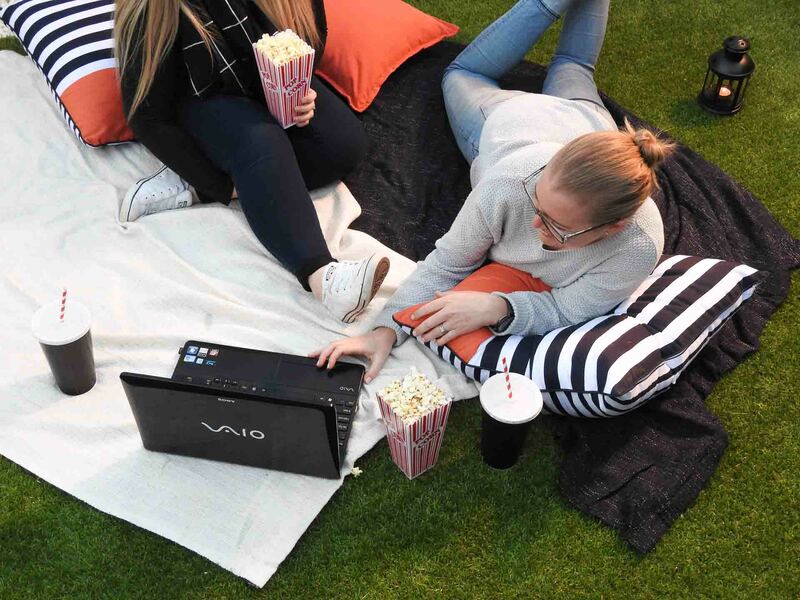 You can set up a sheet and a projector outside, cook some popcorn over your DIY firepit and settle in and watch your favourite flick. At the end of the day, it doesn’t matter how you choose to pass the time. The important thing is that you’re outdoors and spending quality time with your family. Backyard camping is also a great way to test the waters with your children. The way they handle your backyard camping trip will be a good indicator as to how they’ll handle an actual camping trip. Have a Movie Night in Your Backyard.